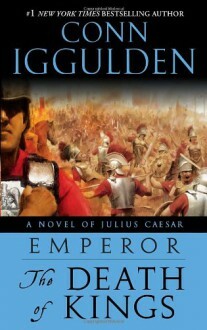 From the author of the bestselling The Dangerous Book for Boys The acclaimed author of Emperor: The Gates of Rome returns to the extraordinary life of Julius Caesar in a new novel that takes us further down the path to glory . . . as Caesar comes into his own as a man, warrior, senator, husband, leader.In a sparsely settled region of North Africa, a band of disheveled soldiers turn their eyes toward one man among them: their leader, Julius Caesar. The soldiers are Roman legionaries. And their quarry is a band of pirates who dared to kidnap Julius Caesar for ransom. Now, as Caesar exacts his revenge and builds a legend far from Rome, his friend Marcus Brutus is fighting battles of another sort, rising to power in the wake of the assassination of a dictator. Once Brutus and Caesar were as close as brothers, devoted to the same ideals and attracted to the same forbidden woman. Now they will be united again by a shock wave from the north, where a gladiator named Spartacus is building an army of seventy thousand slaves—to fight a cataclysmic battle against Rome itself.